The Acoustic Festival of Britain offers four stages of unplugged and acoustic music covering live folk guitar music, country music, bluegrass, with a few legends, and some tribute acts.  Now in it's eighth year the festival is held from Friday 31st May until Sunday 2nd June 2013, the weekend after the May Bank Holiday and falling at the end of the Spring School Holidays at Uttoxeter Racecourse, in Staffordshire. The latest additions are The Hummingbirds, Dan Owen, Pelico, Northern Quarter, Tracey Hunter, The Wee Bag Band, Wildfire Folk, Cruel Folk, Louise Petit, Rubber Duck Orchestra, Afternoon in Paris, Laura Thalia, Tori Lamb, Alice Maciborsky, and Nanateas & Krafty Favill. Headliners The Proclaimers, The Hollies, The Christians, Baka Beyond, and Jenny Belle Star, are joined by Miles Hunt & Erica Nockalls of The Wonder Stuff, The Quireboys, John Otway, Curved Air, Rory McLeod, Ed Tudor Pole, Gareth Gates, Curved Air, Police Dog Hogan, Fake Thakray, Patsy Matheson, Me & Deboe, Eric Faulkner, Simon Townshend (The Who), Phil Cool, BabaJack, Merry Hell, Daisy Chain Quartet, Rusty Shackle, T.Rextasy, The Roving Crows, Martin Stephenson, David Phillips, Rodney Branigan, Nibs Van der Spuy, WeeBagBand, The Hut People, Police Dog Hogan, Sam Garrett, Rob Halligan, Radio Mary, Biggles War Time Band, Fake Thakray, Patsy Matheson, Me & Deboe, Rose Redd, Frazer Kennedy, Chris Wood, T.J & Murphy, Sons of Clogger, Richard Taylor, Jemma Johnson, Chris Chambers & Polly Money. Friday night will also feature an evening of Magic, Comedy and Burlesque as Chris Cross brings his Carny Cabaret Show to the Festival for the first time. Also booked to appear again are The Biker Urban Morris Side (The B.U.M.S. ), The Black Pig Border Dancers, The Balliamo Belly Dancers & Shimmy Armageddon. The early bird offer has ended. An adult weekend ticket is priced at £105 including camping (or £90 without camping), child weekend camping tickets for those aged 10 - 15 years are priced at £20 or £15 without camping. Children under 10 can attend for £1 whether camping or not. All children must be accompanied by an adult. Day tickets are not yet on sale. A full weekend family camping ticket is available this year. This covers 2 Adults and 2 Children, with camping from Thursday night at an early bird price of £200. Uttoxeter Racecourse will be charging around £5 parking Fee, payable on entry. This will be charged on all vehicles using the day car park, as well as all vehicles taken onto the campsite. There will be 2 sites available for caravans and camper vans. The Main Festival campsite has 300 pitches on grass/hard standing. There is no extra charge for this. These pitches do not have electric hook ups. All occupants must purchase the relevant Weekend with Camping Tickets. This year a Children's Big Top Marquee will host many of the Chidren's workshops and activities, including Free Face Painting, and there's loads of activities to keep the little'uns entertained including Chloë of the Midnight Storytellers, Alchemy Dragons - Story Telling and Guided Dragon Walks, Fairy Making Workshops, Sand Art Workshops, Balloon Modeling, Juggling Workshops, Bubble Blowing, Ray Lanton Music: Mini Melodeon Workshops, Percussion & Songs, Longsword and Morris dance workshops, Walkabout Characters, Mini Crafts and Messy Crafts, Creative Crafts, Badge Pirates, and more.